Biodegradable Trash Bags - Plastic is no longer the wave of the future. There are harmful chemicals found in trash bags, as well as unnecessary scent agents. Few, if any, plastic trash bags can make claims that they are BPA free, phthalate free, or biodegradable. Corn based plastics that break down in landfill conditions are the ideal alternative, and they're surprisingly strong. That's less animals harmed, less plastic created, and less plastic in our environment, just by making one simple switch. Eco Friendly Baby Diapers - Diapers take a huge toll on the environment. Not only do they consume resources to create them, but they take massive amounts of space just to dispose of them. Diapers are not biodegradable, for the most part, unless the packaging indicates so. Other types of diapers may also have chemicals which will be absorbed into your baby's skin. Instead, opt for a more earth friendly option for your baby that doesn't have the chemicals. Reusable Paper Towels - In terms of wastefulness, paper towels rank near the top. Paper towels consume trees, which we need to help filter air and create oxygen. They also intake CO2, which our atmosphere has plenty of. To reduce paper towel waste, consider using a reusable set of paper towels to save trees and save money. Soap Nuts - These tiny little berries can actually wash clothing. It's sound unbelievable, but once you try them, you'll see them in action. While they may not produce overwhelming suds, they still contain saponin to help remove grime and dirt. Soap nuts also are far easier on your clothes, so you won't be finding as many holes, rips, and tears on your clothing. Expect the life of your clothing to substantially increase, while not spending any additional money on detergent (the price is about the same). Aromatherapy Reed Diffusers - Yes, those candles smell great, but what's in them? And as for those chemical disinfect sprays, what's in those? An array of parabens, metals, and propellents are included in air freshening products, and they aren't natural. Over time, you could experience headaches, smoke inhalation, and have black, sooty walls from candle smoke. A natural, green alternative is aromatherapy reed diffusers, made with just natural ingredients. The difference in scent is also astounding. Eco Friendly Cat Litter - Kitty litter is a must for indoor cats (as well as outdoors), but they have their drawbacks. Namely, they create dust that can be inhaled by your kitty, and you. The carcinogenic dust can lead to health problems, and kitty is very likely to eat it, too. Buying a more earth friendly and cat friendly litter will help you, help the cat, and help the earth. Organic Perfume - The lack of integrity and utter disregard for the quality of the products produced by the perfume industry are appalling. Chemical fixatives, animal testing, petrochemicals, headache causing artifical fragrance, and an entirely synthetic composition make 99% of today's perfumes a really bad choice all around. Perfumes have been around for centuries, but only since the 20th century have they been synthetic. Revert back to the perfumes nature created by choosing an all natural, organic perfume instead. Organic Crib Sheets - The number of chemicals found in traditional cotton sheets are horrible for you, and even worse for little babies. Babies have less mass to distribute the chemicals absorbed by their body, unlike adults, who have far greater mass. This means babies will have a greater exposure to any chemicals and pesticides used on their sheets, and a greater risk of developing cancer. To reduce this risk, opt for a certified organic set of sheets. Organic mattresses are another great option, provided they are certified and are firm enough for your baby. Eco Cup - This brilliant invention is a great way to reduce take out coffee cup waste. Instead of throwing away your plastic or paper cups day after day, the Eco Cup will prevent that waste from ever occurring. Simply bring it in to your local coffee shop and fill it up. It's all the benefits of an easy to use coffee sippy cup, without the negative effects on the environment. Eco Friendly Cleaning Products - Cleaning products sound innocent, because they clean, but most are not. Specially formulated chemicals thrown together to create a grime stopping cleaner have their negative affects and flaws. Skip the chemicals next time and get an eco friendly cleaning product you can clean with, sans the guilt. These are also refillable via concentrate pouches, so there's less harm done to the environment and less transport energy used. For additional ideas, read this post on the top 10 eco friendly gift ideas, or head to TheGreenerEarth.com today to shop for eco friendly products like reusable paper towels, the Eco Cup, organic perfume, and others listed on this page. As always, you can catch up with me on Twitter and on Facebook as well. Have a great weekend! This is part 6 in a 6 part series of my green articles on Squidoo. Each of these articles aims to give you a more earth friendly alternative to the things you are already doing and consuming. You'll come away with at least a few new ideas on going green through this series. 101. If there's any one thing you would like to do to lower your electric bill, try weatherstripping your home first. 102. The natural skin soothing spray is a great way to treat sunburns and bug bites, and it's completely all natural! 103. Traditional perfumes not only cause headaches, but are made with toxic plasticizers, which are a chemically created fixative. The natural alternative to the perfume industry is to find organic perfumes that smell wonderful and won't harm the environment. 104. The fall foliage tote bags found here are great ways to be more festive during fall foliage season! 105. The Reusable Bag Headquarters features several different resuable bag companies and designers. 106. Celebarate Earth Day everyday by following these easy tips on recycling, reusing, and reducing things in your life! 107. Use this bag again and again! Find scary reusable Halloween bags for Trick or Treating. They're even washable! 108. Buy organic shade grown coffee and treat the environment a little bit better (and taste the difference!). 109. Here are a few reasons you should eat more veggies (and it's not just because it's good for you!). 110. This natural acne cleanser will do a great job removing acne without using irritating chemicals that will worsen breakouts. 111. The organic under eye cream will smooth wrinkles, and won't subject your skin to chemicals that redden the skin. 112. These lettuce recipes are great ways to increase the amount of lettuce in your diet -- an important vegetable you should be eating. 113. Clean the air quality in your home just by adding a few of these recommended houseplants! 114. Find your town in Massachusetts and find your tote bag on the Massachusetts tote bags page! 115. The renwable energy bag features a beautiful windmill image, reminding everyone to think of how much energy they use day to day! 116. Find my review of Go Green, Live Rich on this lens, and find a sampling of some of the tips you can find in this easy to read book. 117. Quit throwing away disposable cups and use an eco friendly, BPA free, reusable cup like the Eco Cup. 118. Get on track to fight climate change in 50 different ways with this post. 119. Why buy stale, unfresh grocery produce? Find your local farmers market through this all inclusive list of the 50 different states of the USA. 120. If you're making butternut squash frozen, there's a much better alternative. Try out this easy recipe for homemade butternut squash here, it's only takes a few minutes extra preparation time. Be sure to visit the Green Living Tips Blog for the rest of the 6 part series! You can also visit A Million Ways to Go Green for more eco friendly tips and advice from the author. Thanks for reading this series, I hope you enjoy the articles I've published on Squidoo (and maybe visited a few of them). P.S. - One more thing - sign up for my free newsletter to get the latest green advice, news, and truly earth friendly products right in your inbox. The three themes of the title have little to do with each other, but they have two things in commons: the articles in this post were all published by me, and they all feature ways to help green your life. There are simple, tiny things you can do like switch to biodegradable bags, or you can indulge in a little self pampering with the organic facial care products featured here. There are also a few posts on energy efficient cars and transportation. This is part 5 of a 6 part series on my green articles. Enjoy! 81. Find out how to host an online party here. It's the next best thing to an actual party! 82. These biodegradable pet bags are perfect to carry with you on your dog walks. 83. The organic lotion on this page is a great way to make your skin ultra smooth, and the scents are incredible! 84. Find more organic t-shirts and gift ideas on this page. 85. 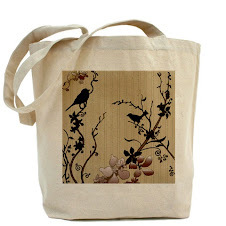 The cherry blossoms tote bag also features black bird silhouettes and a beautiful design that's machine washable! 86. You can take some green tax breaks to save some money on your taxes next year! 87. The recycled gift wrap on this page is a unique way to reduce your impact on the environment! 88. Reusable coffee filters have their own unique taste, and they're a great way to save those coffee grinds (they make great garden soil!). 89. The US reusable tote bags feature each of the 50 states. Find your state here! 90. The organic exfloating scrub is a natural way to scrub your face and remove dead skin without irritants. 91. These green travel tips will help you be greener on your next vacation. 92. Super soft Egyptian cotton baby towels are the ultimate way to treat your baby organically! 93. Before your next car purchase, check out some of these hybrid car reviews! 94. You can green your car with these green driving tips. Make your car run more efficiently, it will save you some money too. 95. The Chevy Volt is one impressive car. It's electric, and the mileage it gets is unbelievable. Check it out! 96. Not sold on going organic? Here are some reasons to go organic that might change your mind. 97. You can really taste the difference with this organic chocolate offered here! 98. This natural amonia free glass cleaner is a great way to reduce your exposure to harmful irritants from ammonia. 99. The organic gentle relief toner is powerful, yet soothing and invigorating for your face. It will clean up all the leftover dirt after washing it. 100. The organic multi tea cleanser freshens up your face and cleanses pores completely. Be sure to visit the Green Living Tips Blog tomorrow for part 6 of the list! You can also visit A Million Ways to Go Green for more eco friendly tips and advice from the author. 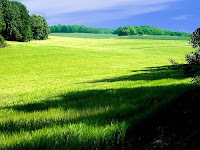 Today is part 4 in a 6 part series in helping the planet through some of the articles I've published on Squidoo. On this post, you can find green solutions for the planet like reusable gifts, organic products (that help you and the environment), and ways to recycle your clothing. 61. A green solution for your baby is the eco friendly diapers offered on this page. Diapers take up billions of pounds of space in landfills! 62. These are some of the best smoothie recipes I've found online, and I compiled them all together in one place! 63. Wrapping paper is fun, but kind of wasteful. This page features a great alternative, reusable gift bags! 64. The Earth Day contest was a big success in 2009! Find out what was given away and who won on the contest page. 65. The organic moisturizing toner is a great way to naturally clean your face without overdrying. 66. Why pay for packaging materials? Here you can find out how to get free packaging material if you're an Ebay seller, shipper, or if you're just moving across town. 67. Be kind to the earth with reusable bags! The beautiful canvas tote bag featured holds 3 times as much as a disposable plastic bag! 68. It's hand washing gone green with the organic foaming hand soap, available with refill packets to fill it back up! 69. Chemicals aren't good for you, and that's why the organic bathroom cleaner is a wise choice for your family! 70. Yes, you can recycle your clothing by following these simple steps! 71. These green t-shirts are a great way to be kind to the planet and look great while doing it. 72. The organic all purpose cleaner is great for nearly any surface, and smells terrific! 73. The backyard bird count contest was a big hit! 74. Pesticides and chemicals are in our food, clothing and bedding. Why add more? This DEET free bug spray is a great natural alternative that really works! 75. 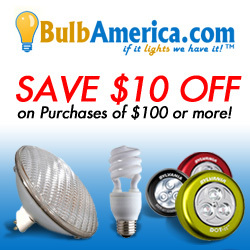 Save money, go green! We could all use a little extra money, couldn't we? 76. In November 2009, we gave away the California tote bag, a green themed reusable tote. 77. The organic body products page features some great organic choices that don't have the harsh chemicals. 78. Go green with the reusable gift ideas here! 79. Organic shea butter really moisturizes better than anything else. If you have extremely dry skin, give this a try! 80. Find more ways to go green with these recommended tips! Be sure to visit the Green Living Tips Blog tomorrow for part 5 of the list! You can also visit A Million Ways to Go Green for more eco friendly tips and advice from the author. Today is part 3 of a 6 part series of posts on greener living. Today, posts 41-60 will offer more green tips, products, and suggestions that I've offered on my articles on Squidoo. You can click any link to head to that individual article. The goal of each of these links is to help you reduce your impact on the environment and lead a greener lifestyle!If you missed part 1 or part 2 yesterday, please read that first. 41. Go green with these eco friendly, organic earth day t-shirts! They're better for the environment and you. 42. Find the green lens of the week and more tips on this green resources page. 43. Go completely organic with the natural, reusable, and earth friendly products from Chartreuse Products. 44. Why use chemicals on your baby? Try this natural diaper cream instead. 45. Reduce your electricity and heating costs in your home with these easy tips. 46. These delicious veggie panini recipes will have your mouth really watering! 47. The soap nuts laundry detergent is a great way to wash your clothing naturally. 48. Freshen up your home with the incredible scents of these aromatherapy air fresheners. The light scent is incredible! 49. Choose a cute accessory for your baby with the best nursery baby rugs that I've chosen here. 50. These earth friendly t-shirts feature some unique designs, on all organic t-shirts! 51. Organic shower gel is a great way to wash your body without chemicals. It's available in three incredible scents! 52. The organic facial care products here include a full facial regiment gone green and chemical free. 53. 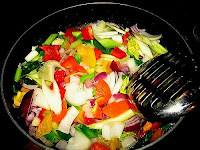 Find a bunch of vegeterian recipes to choose from and change up your current diet! 54. What chemicals are in your dryer sheets? Switch to a more natural alternative with these reusable dryer sheets available here! 55. These easy to make vegetable sides are great accompaniments to your dinners (and a good way to squish in more veggies!). 56. There are 50 ways you can go green with Chartreuse on this page, from the eco friendly skin care to the reusable products and more! 57. The organic facial cream is a great way to treat your face to a luxurious, all natural moisturizer that's chemical free. 58. Build your own recycling system in your home with these tips. 59. Go entirely organic with your baby's fun time with these recommended organic baby toys. 60. Book an organic home party with Chartreuse to find out more about the eco friendly, organic products offered! Be sure to visit the Green Living Tips Blog tomorrow for part 4 of the list! You can also visit A Million Ways to Go Green for more eco friendly tips and advice from the author. If you missed it yesterday, I posted part 1 of this 6 part series here, 20 Eco Friendly Tips for a Greener Planet. Today, the blog will continue with 20 earth friendly tips to help save the environment, which range from using greener products that are reusable, to recycling more in your life. 21. Get rid of the chemicals in your ziploc bags with these bpa free reusable sandwich bags. Why throw away when you can reuse again and again? 22. These easy green tips were taken from just one month of my green tip of the day posts! 23. In January 2010, we gave away the recycle tote bag in this contest. 24. Cut back on paper towel waste with the amazing reusable paper towels. You'll love these! 26. This delicious stuffed bell peppers recipe is a great way to get more vegetables into your diet. 27. Soap nuts might seem strange, but they do a great job of washing your clothing naturally without chemicals. 28. Reusable bamboo utensils can cut down on your plastic waste, and they're a lot nicer to eat with, too. 29. Green your baby's bath time with these organic towels, creams, and recommended green baby products! 30. There are hundreds of green tips at a Million Ways to Go Green, the page here on Squidoo. 31. Plastic isn't our only option anymore. Try the biodegradable trash bags and cut back on your plastic bag use today! 32. This incredible organic shampoo is also biodynamic! Read this page to find out what that means, and why it's good for you and the environment. 33. Featured here are some of the organic t-shirts and gifts available from EcoGreenBags. 34. Take a look at some of the unique organic diaper bags available today (and they're truly organic!). 35. This gigantic reusable bag folds up into a tiny compact reusable shopping bag so you can take it with you everywhere you go! 36. There are 50 ways to go green on Squidoo on this lens. Featured are 50 of our greenest lensmasters! 37. Reusable produce bags are a great way to cut down on plastic waste in the supermarket. 38. These customized reusable SIGG water bottles are fully customized with unique designs, and they're BPA free! 39. Not sure where the local recycling center is in your town? This page will help! 40. Organic household cleaners are just a click away with this page, featuring some all natural and organic cleaning solutions for your home. Be sure to visit the Green Living Tips Blog tomorrow for part 3 of the 6 part list! You can also visit A Million Ways to Go Green for more eco friendly tips and advice from the author.